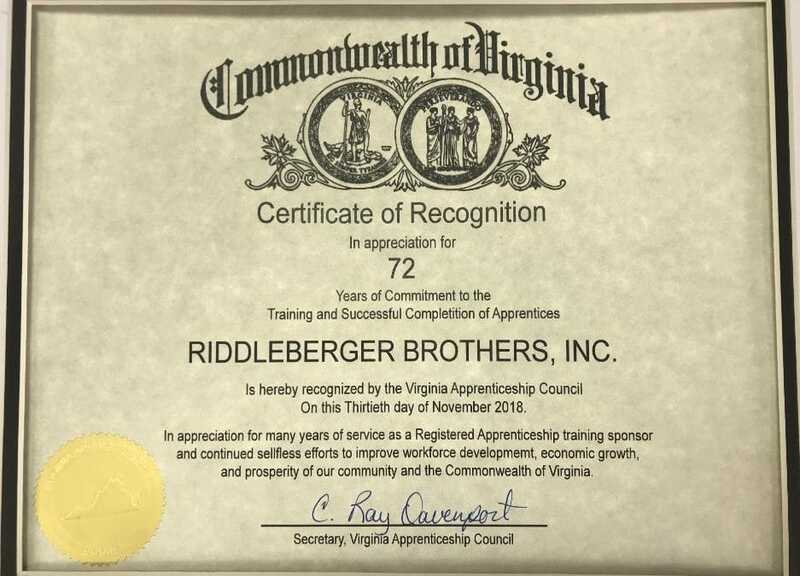 Riddleberger Brothers, Inc. was recently recognized by the Virginia Apprenticeship Council for 72 years as a Registered Apprenticeship sponsor. We are proud to offer trade apprenticeships that provide career paths for advancement and a pathway to trade licensure. We hope apprentices will continue to choose RBI to build their future!